These are not the best of times for owners of warehouse and distribution space, as Nigeria’s industrial property market is witnessing an increase in vacancy rates for factory and warehouse segments. For years, the industrial market has suffered from a significant demand-supply imbalance. And despite the weakness in the manufacturing sector of the economy, rents have remained steady. With the fairly resilient and challenging trading environment likely to in persist, demand is unlikely to pick up. Consequently, vacancy rates of industrial space have climbed up. In fact, warehouse rents in submarkets have recorded no change in rents over some months, underpinned by the chronic lack of new supply in this segment of the commercial market, according to Cluttons report. But new reports show a slide in rents in some areas.The slide in overall industrial rents came as no surprise given that availability of more vacant stock. There are also concerns among investors that an acceleration of this trend could moderate further investments in industrial properties. Experts believe that the industrial property market is expected to remain challenging, amid a jittery national macroeconomic environment, the lacklustre manufacturing sector and rising interest rates. The Guardian further learnt that a lot of organisations and companies have relocated to other neighbouring countries due to heavy and multiple taxes. “The effect of relocation of these organisations is vacant warehouses available for sale or letting/leases,” according to the chairman, Faculty of Estate Agency and Marketing, Nigerian Institution of Estate Surveyors and Valuers (NIESV), Pastor Sam Eboigbe who confirmed the development. Statistics show that rents in Apapa, which is closest to the ports, as well as Ilupeju, remain the most expensive at N1,400 psf per annum, followed closely by Oshodi at N1,200 psf per annum. The least expensive locations at N600 psf per annum are Ikorodu and Abule Egba.Disturbed by the poor performance of warehouse rents and decline in patronage, some owners are making efforts to dispose them. “When you have an asset that is not yielding expected rental returns, a lot of people will turn it to sale to divert the investment to other predictable areas of monetary return,” Emeka Okoronkwo of Kings Court Realtors said. Over N50 billion worth of warehouses are now in the market. For instance, 200,000 sqft warehouse with three storey building office space with a private transformer on 5.6 acres of land directly on Industrial Avenue Ilupeju, goes for N8billion. 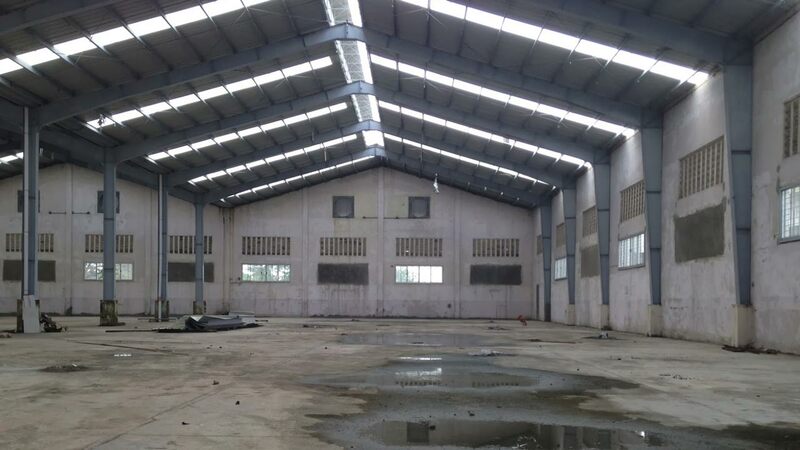 Others in the market include, 210,000 sqft warehouse with about 40 rooms offices on 9acres (2.5acres) of land directly on Apapa Oshodi Express Way Close to Oshodi, with price tag of N4billion; 200,000 sqft warehouse with office blocks on six acres of land directly on Oshodi Apapa Express Way close to Lastma Office Oshodi Lagos (N4billion).Real estate experts said that activities in the “real estate sector have been quite low. We have letting voids and similarly a number of warehouses are up for outright disposals. 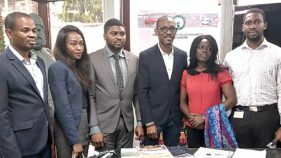 “The situation today is those Organisations who should have primarily be those taking leases and consummating sales transactions are making enquiries not for negotiating fresh transactions but offering theirs for leases or sales accordingly thus flooding the already saturated market,” Eboigbe said. He ascribed this regrettable and unfortunate scenario to a combination of factors. “Industries, factories and other investments as a result of inability to access foreign exchange, escalating cost of doing business and other factors are either operating below capacity or have closed down necessitating policy shift to include lease or sales of the warehouses accordingly,” he said. For Sola Enitan, an estate surveyor, “the economic policies of government is currently unfavorable to manufacturing, land use Charge is at peak pull, the purchasing power of Nigerians are at a low ebb and it’s not obvious how the how the high foreign reserve helps the performance of the naira. “The office of statistics has just released fresh data on fdi at about 6.3billion USD. These funds are largely chasing infrastructure projects, these are long term gestational development. Warehousing will continue taking the bash in the long term as asset rationalisation for cash increases,” Enitan added. Ubosi expects, the government to create an enabling environment for manufacturing industries to take up warehouses either for production or storage. “Until this is done we will continue to see an increasing number of empty warehouses,” he said.According to Eboigbe, the way out is for the federal government and agencies to give tax incentives to industries and support activities in the real estate sector. 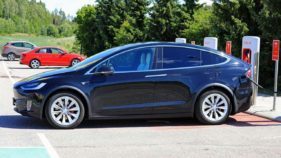 “The state and the federal government agencies should give tax incentives since It is today a common practice to find same warehouses available for sale or letting depending on the option that comes first.